Kentucky Derby season is officially underway and we are less than one month away from the 144th running of The Greatest Two Minutes in Sports in Louisville, Ky. Nothing goes with the Kentucky Derby quite like Bourbon, and if you’re a Kentuckian, or are able to visit this Derby season, you’ll have a few opportunities to mingle with us. We’ve invited Lexington-area mixologists to compete in the 6th annual Rose Julep Lexington Cocktail Competition in hopes of receiving top honors, and bragging rights, for handcrafting the best unique twist on the classic mint julep—which traditionally includes crushed ice, mellow Bourbon, simple syrup and fresh mint, all muddled together in a silver cup. This year’s competition is being held via social media, so the public will be invited to participating bars and restaurants, now through May 4, to sip on these special handcrafted cocktails and vote for their favorite. Guests will be asked to take a photo of the cocktail, post the photo on Facebook, Twitter or Instagram, include #RoseJulep2018 and tag @FourRosesBourbon and the bar or restaurant. Stay tuned in on the Facebook event page for a list of participating bars and restaurants. Kentucky Derby Festival’s newest event, BourbonVille provided guests with the opportunity to enjoy a mellow moment over specialty cocktails, taste Bourbon-inspired cuisine and mingle with Brent Elliott, among other master distillers. Now in its 28th year, Thunder Over Louisville was created as the Opening Ceremonies of the Kentucky Derby Festival, offering an explosive kick-off to three entire weeks of celebration in Louisville, Kentucky and Southern Indiana. We’re excited to be a part of the nation’s largest annual fireworks event this year and look forward to celebrating with you. 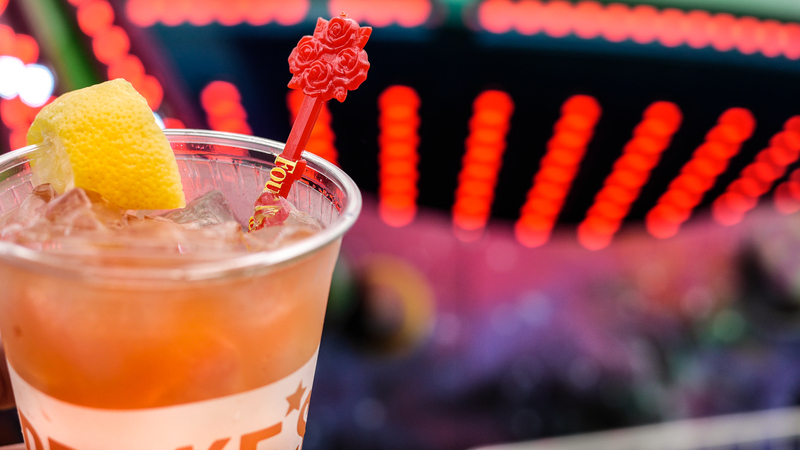 Four Roses will be the only Bourbon on-site and we have partnered with Drake’s, a neighborhood restaurant & bar, to serve a specialty Four Roses cocktail called the Thunder Punch to event attendees. Senior Brand Ambassador Al Young will be at Cox’s St. Matthews in Louisville, Ky. on Friday, April 13 signing specially selected Thunder Over Louisville bottles. Check out event details here. Fest-a-Ville on the Waterfront starts Thursday, April 26 and runs through Derby Eve, Friday May 4, where several Festival events, including the awards presentation for the Great Steamboat Race, will be held. Four Roses will be the only Bourbon on-site and we have partnered with Drake’s, a neighborhood restaurant & bar, to serve a specialty Four Roses cocktail called the Thunder Punch to event attendees. 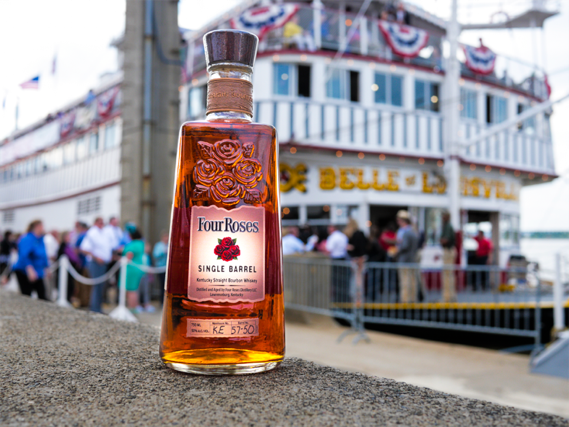 Four Roses will again sponsor The Great Steamboat Race. This unique event pits the historic Belle of Louisville against the Belle of Cincinnati in a race down the Ohio river. 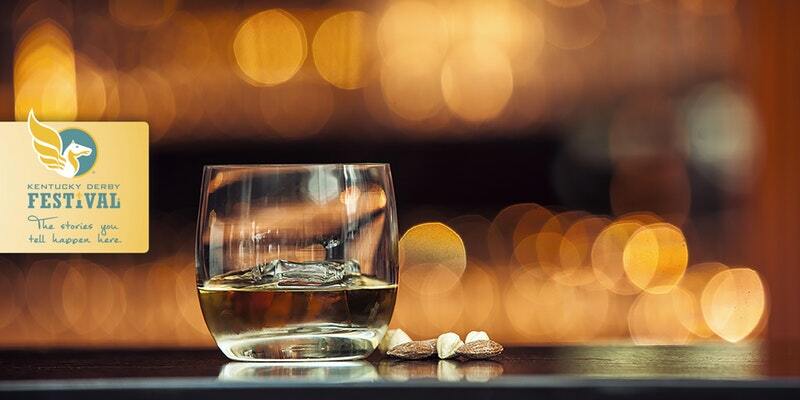 On-board, guests are treated to food, entertainment and of course… Bourbon. At a recent press conference, representatives from the Kentucky Derby Festival, the Belle of Louisville and the Belle of Cincinnati selected two different Single Barrel Bourbons to be served aboard each vessel for the event. 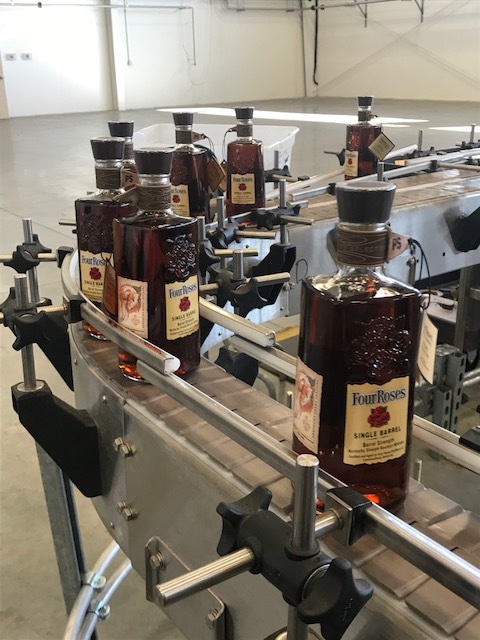 The Four Roses barrel coded 58 6-C was selected as the Bourbon to represent the Belle of Louisville and the Four Roses barrel coded 78 3-B was selected to represent the Belle of Cincinnati. Passengers on-board both boats will have the opportunity to sample the two Bourbons and vote for their favorite. The boat with the winning Bourbon will receive a Bourbon barrel trophy and bragging rights for a year. We’ve released our commemorative Kentucky Derby Festival Poster Special Selection Single Barrel Bourbon, featuring the image of the 2018 Derby Festival Official Poster, designed by Louisville artists Jeaneen Barnhart and Doreen Barnhart DeHart. Representatives from the Kentucky Derby Festival, along with Master Distiller Brent Elliott participated in a barrel tasting and selection at the Warehouse & Bottling Facility in December 2017 to choose their favorite barrel for this special bottling, which can be purchased at select Liquor Barn locations throughout Derby season, while supplies last.